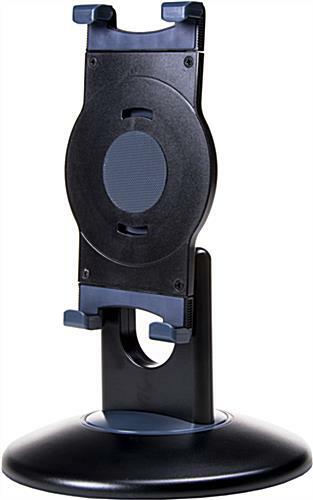 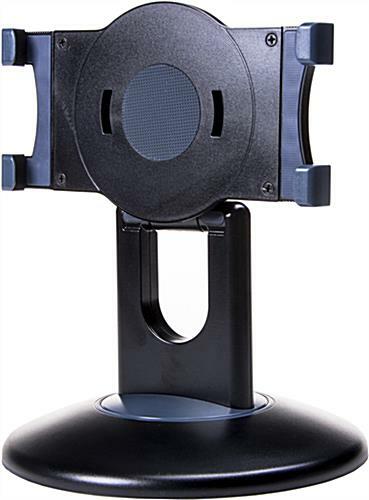 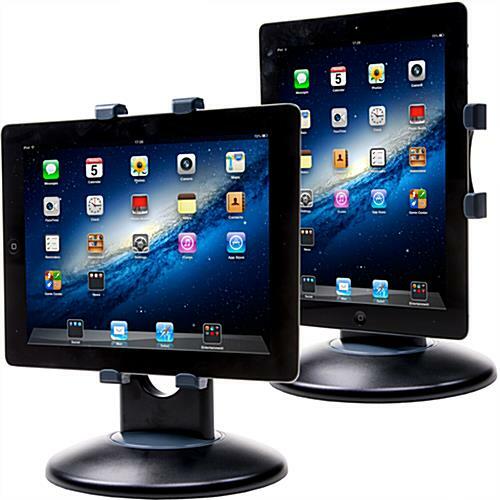 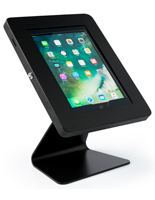 These rotating counter tablet stands allow users to access their Apple® generation 1 through 4, Air or other 7-1/4" to 10-3/4" tablet right on the tabletop. 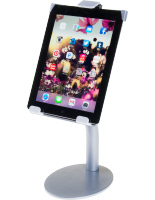 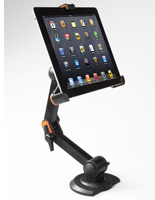 The table iPad brackets rotate the screens 360° for landscape and portrait orientation. 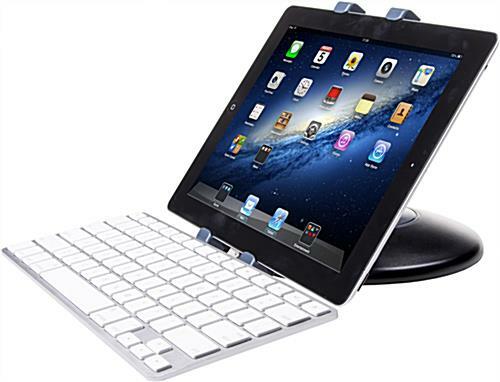 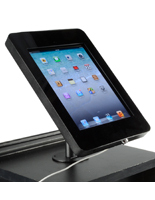 These counter tablet stands, also called touchscreen displays, accept a keyboard for easy typing. 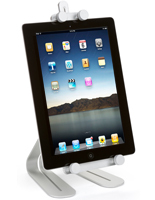 The table iPad brackets are very lightweight for easy repositioning. 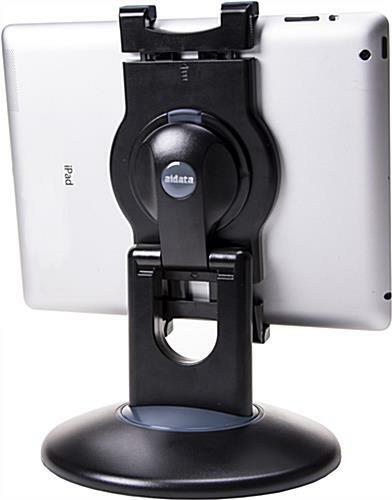 These tablet stands will tilt 180° to keep the screen insight at all times. 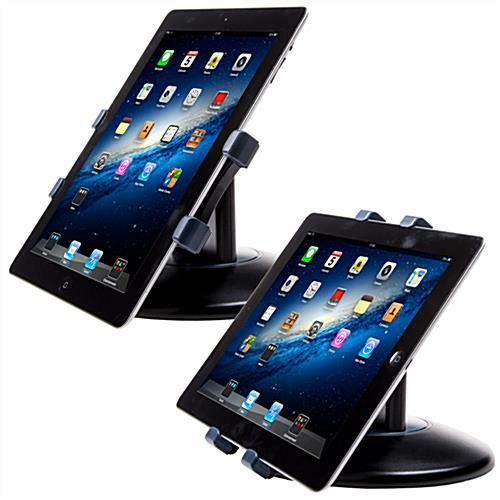 The touchscreen displays are hands free for multitasking assignments.